Mexico insurance can cover your vehicle, boat or watercraft, travel trailer, motorcycle, ATV/UTV and/or towed units while in Mexico. You may or may not know this, but your U.S. or Canadian insurance policy won’t cover you if you have an accident in Mexico, meaning you must have insurance from a Mexico domiciled insurer. Every year, millions of people drive to Mexico for business and beachy pleasure, educational opportunities and culinary delights. And a large number of them drive their cars or RVs, and bring their motorized toys. If you’ll soon be one of these people, know that — as of January 1, 2019 — Mexican car insurance is required on all vehicles on federal roadways. To avoid fines or even more serious punishments, it is recommended you find an automobile insurance policy of the highest quality. First of all, Mexican auto insurance policies are different from their American and Canadian counterparts in a couple ways. In fact, your American or Canadian policy won’t fulfill your legal requirements in Mexico. In Mexico, sufficient liability coverage does not automatically come with auto insurance. Also, the costs that Mexican insurance companies charge can vary, making comparison pricing essential. 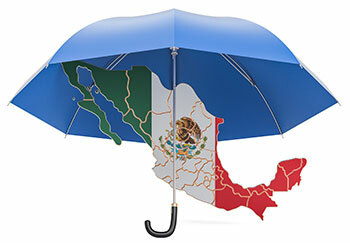 In Mexico, liability insurance, often referred to as third-party liability insurance, is mandatory. And, under the law, only liability coverage from a Mexican provider will suffice. If you’re at fault in a car accident, your liability insurance will reimburse other people for their medical costs and property damage. However, it won’t pay for your own medical costs or any damage to your vehicle. Keep in mind that, as a motorist in Mexico, you are guilty until proven innocent. If you’re involved in an accident and lack the funds to pay for damages (or insurance to cover the damages), you could immediately face fines, delays and even jail time. Among the extras that some Mexican insurance companies offer are legal and travel assistance packages. In Mexico, a car crash is a criminal matter. Thus, if you’re involved in a crash that injures someone or destroys their property, you’ll need a competent, licensed attorney to navigate a foreign court system. And a bilingual one would be ideal. With the legal assistance option, your insurance company pays your lawyer’s services. Travel assistance is highly dependent on the insurance company, and generally provides medical, travel and roadside assistance. It can be included with liability only policies, and would pay for ambulance trips, airfare to allow someone to visit you in a Mexican hospital, towing and cash advances in emergency situations. A full-coverage policy, covers the liability mandate (as described above)plus physical damage to your vehicle, medical payments to the occupants of your vehicle, auto theft and vandalism. 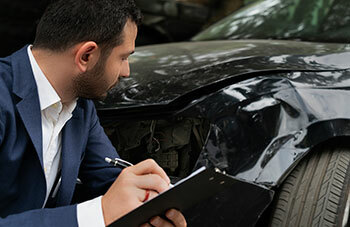 Some policies also offer gap coverage, partial theft, uninsured motorist coverage and even an increased labor rate so you can repair a vehicle in the U.S.
Gap Coverage comes into play whenever a you owe more on your car than it’s worth. It will pay the difference so you don’t have to pay out of pocket to your lien holder. Partial theft coverage pays for stolen parts and accessories, permanently attached to your vehicle. Uninsured motorist coverage pays damages to your vehicle and occupants when another driver causes an accident, but lacks liability insurance. How Much Liability Coverage Should I Choose? A liability limit of at least $300,000 is recommended because, in 2013, some Mexican states increased their death liability limit to $300,000 or more. To truly protect yourself, it’s best to obtain a limit of $500,000. The credit company A.M. Best, which has an office in Mexico City, rates auto insurance providers, and other financial institutions, on financial stability, customer service and other factors. Look for the companies who have an A rating to be sure you are covered by an insurer you can trust in Mexico. Look for fixed deductibles when choosing Mexican insurance, as well, which means you’ll know what your deductible is from the outset. Many Mexican insurers offer percentage deductibles, which fluctuate depending on the value of the vehicle. There’s a lot to remember when you’re searching for the right insurance to go south of the border. But, with the right policy, you’ll enjoy peace of mind as you turn the key and zoom off on your Mexican adventure.